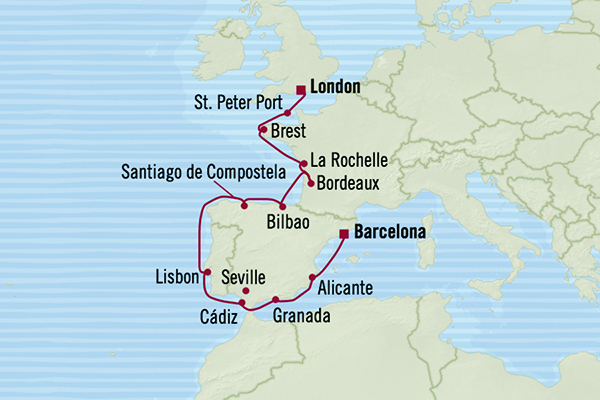 Exclusive Oceania Cruises offers from our agency. Savor the world with The Finest Cuisine at Sea™ aboard Oceania Cruises' intimate and luxurious ships. Oceania Cruises' commitment to cuisine shines in their artisanal ingredients and their array of gourmet restaurants but truly comes to life with their passionate chefs who craft each recipe from the heart. Each of Oceania Cruises' voyages are an invitation to discover your next travel story with their insider tours in both marquee and boutique ports during extended, evening and overnight calls. You’ll feel like you’re coming home to family aboard their casually elegant ships. Oceania Cruises' personalized, genuine service means their staff and crew always attend to your every request with a smile. Free Wi-Fi plus our agency’s exclusive offer of a Free Shore Event or Free Pre-Paid Gratuities! Book by March 31, 2019. Ask about the optional OLife Choice package which includes Roundtrip Airfare plus your choice of one: Free Shore Excursion, Beverage Package, or Shipboard Credit. * Per person, double occupancy in an Inside Stateroom. Price subject to change and availability; please contact us for details. 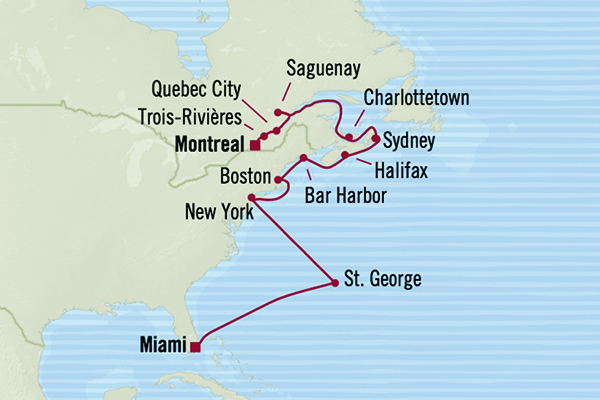 Free Wi-Fi and Ensemble Hosted Cruise Benefits – Host, Cocktail Reception and Shore Event in Halifax. The dramatic eastern coastlines of North America will fill you with awe from the cliffs of Quebec to historic Boston Harbor, and as the fall foliage starts to turn in New England, the views grow even more outstanding. Free Wi-Fi and Ensemble Hosted Cruise Benefits – Host, Cocktail Reception and Shore Event in Puntarenas. 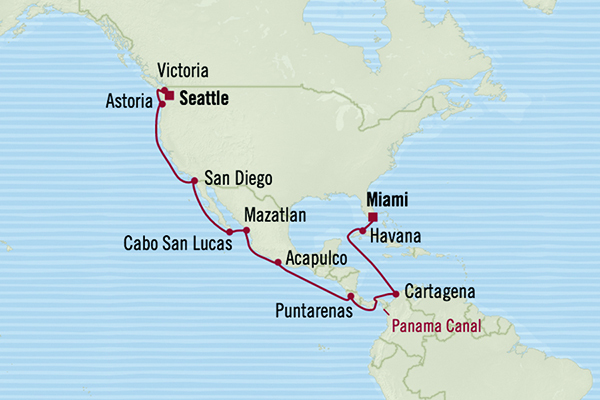 This wonderful voyage features not only the vivid colors of the Caribbean but also a transit of the phenomenal Panama Canal and calls on pristine destinations along the Pacific Riviera. Free Wifi and Ensemble Exclusive Pre-Paid Gratuities. From renowned wine estates to revered shrines, this voyage offers endless wonders to delight your senses and soothe your soul. Offers and fares are subject to change on 4/1/19. All fares are per person in U.S. dollars, valid for residents of United States and Canada, based on double occupancy for new bookings only and may be withdrawn at any time. Free Internet amenity does not include streaming and includes one log-in per stateroom, except Owner’s, Vista & Oceania Suites, which receive two log-ins per suite. Cruise-Only Fares do not include Optional charges as detailed in the Guest Ticket Contract, which may be viewed, along with additional terms, at OceaniaCruises.com. Cruise-Only Fares do not include OLife Choice amenities or airfare. All Fares include government fees & taxes. 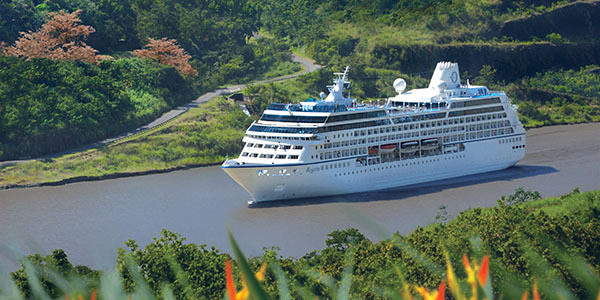 Oceania Cruises reserves the right to correct errors or omissions and to change any and all fares, fees, promotions and surcharges at any time. Ships’ Registry: Marshall Islands.